For private dining events for up to eight people, guests are invited to take advantage of the wine library, a fashionable venue underneath the extravagant Ingo Maurer chandelier “Porca Miseria”. 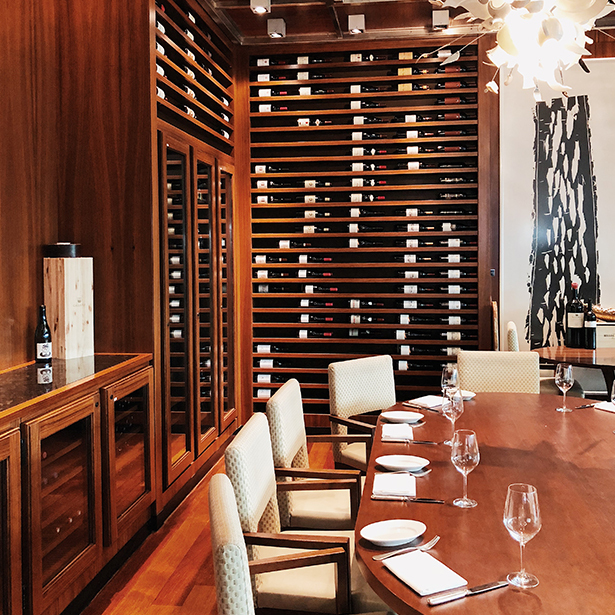 This room is separated from the restaurant with floor-to-ceiling windows and is highlighted by a two-storey, 3.000-bottle wine library with its own spiral staircase. 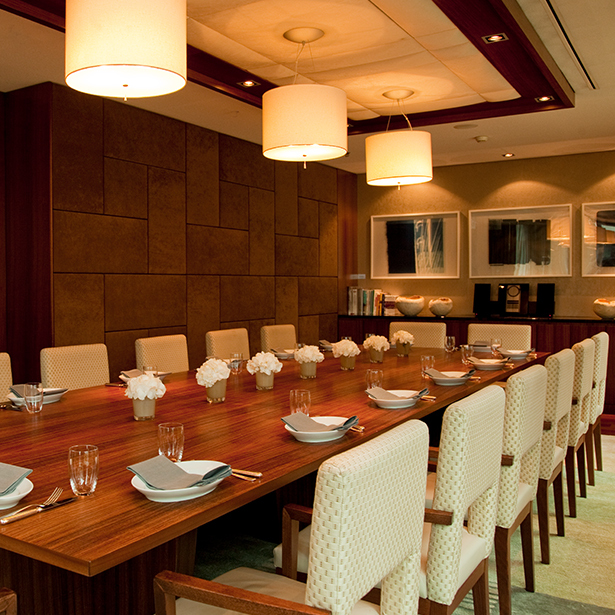 The private dining room offers seating for up to 16 people and provides intimate and inviting surroundings for private functions. It is located next to the restaurant and has access to the outdoor terrace. Relish a delicious six-course vegetarian menu, accompanied by carefully selected ingredients from sustainable sources in Switzerland. 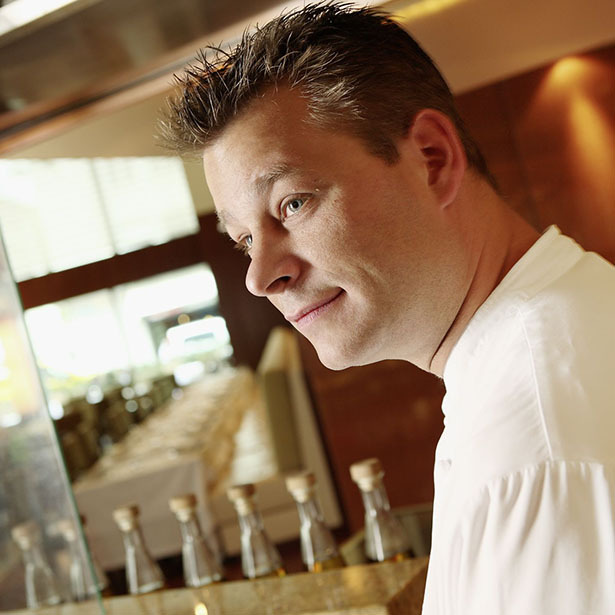 Let our chef guide you through the evening. Over dinner, they will charm you with their creative journey and stories.